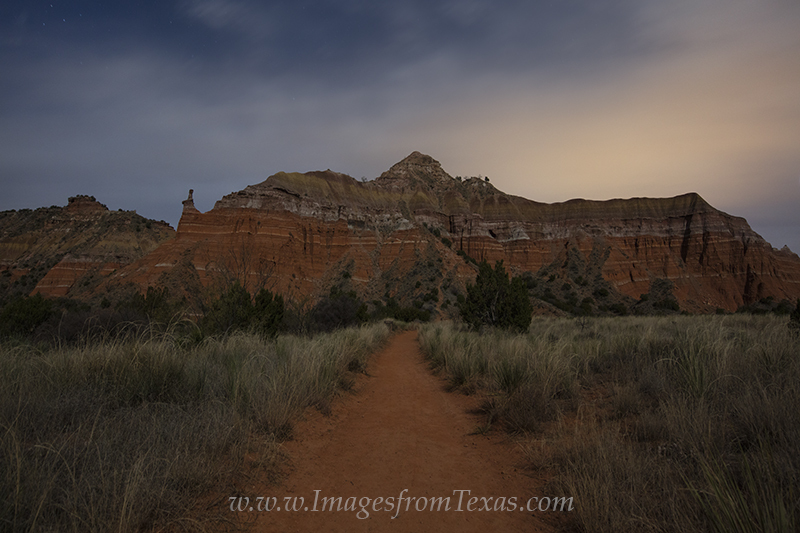 Under the light of a full moon, Capitol Peak at Palo Duro Canyon is lit up in this long exposure. To the naked eye, there was a little light on this evening, but with the camera, the colors came to life. Photo © copyright by Rob Greebon.